You are viewing all 5 items. 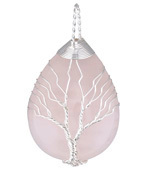 Rose Quartz Silver Finish Wire-Wrapped Tree of Life Teardrop Pendant 31x56mm NEW! 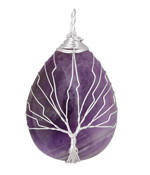 Amethyst Silver Finish Wire-Wrapped Tree of Life Teardrop Pendant 30x50mm NEW! 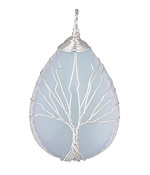 Opalite (glass) Silver Finish Wire-Wrapped Tree of Life Teardrop Pendant 30x50mm NEW! 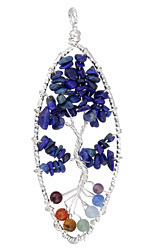 Chakra (Multi Stone) Silver Finish Wire-Wrapped Tree of Life Pendant 30x80mm NEW! 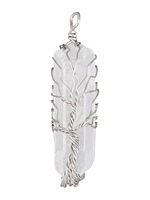 Rock Crystal Point Silver Finish Wire-Wrapped Tree of Life Pendant 18x54mm NEW!